The perfect training and self-defense ammo. 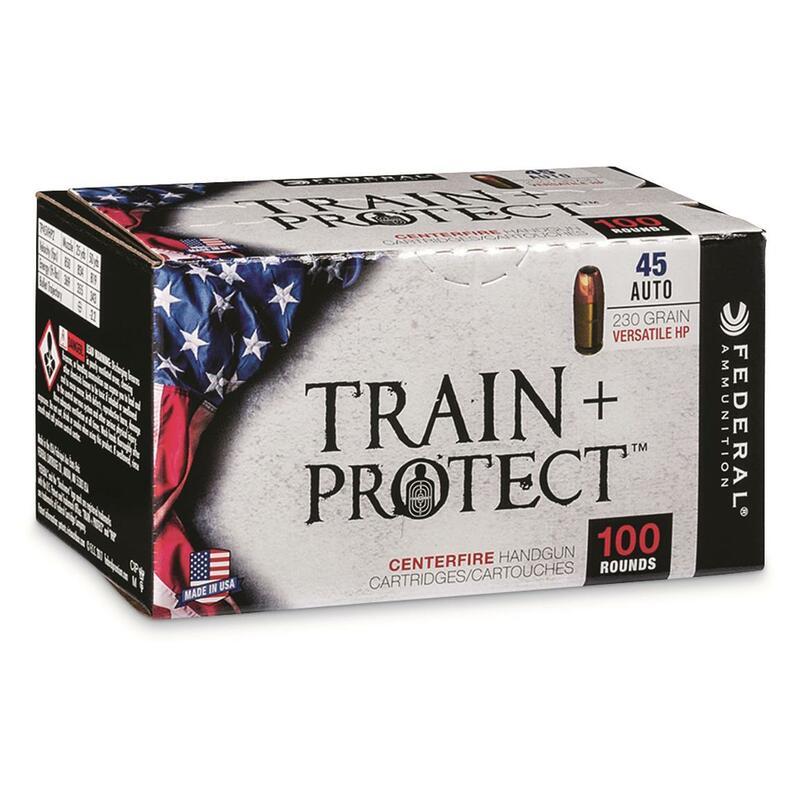 Federal® Train + ProtectTM delivers precise, practical performance at the range, and instant reliable expansion in self-defense scenarios. The result is the ideal combination for training as well as protection. Federal Train + Protect, .45 ACP, VHP, 230 Grain, 100 Rounds is rated 5.0 out of 5 by 1. Rated 5 out of 5 by NicB from Great all around I love this ammo it feeds great. The price is great! The expansion and penetration are what would be expected from federal. It is exactly what it says it is. It's a versatile hollow point that is only a few dollars more than fmj and is great for training.